Earlier we let our readers know that if they are waiting to snap up the LG Optimus G on AT&T, the smartphone will be available on AT&T as of the 2nd of next month, with pre-orders for the device kicking off today, and costing $199.99 when signing on for the usual two-year term with the carrier. 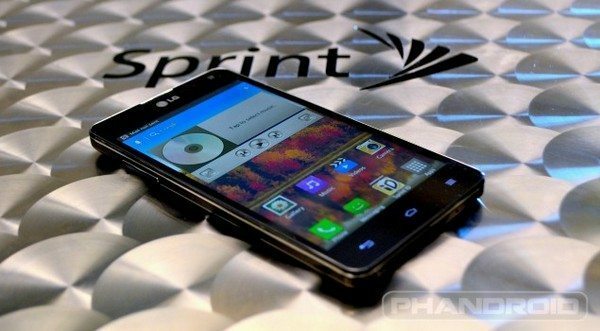 However the Optimus G is also coming to Sprint, although at the time we didn’t know just when, but we do now. For those over in the USA that would prefer to pick up the LG Optimus G on Sprint, according to a report over on Phandroid, you can expect the Optimus G to arrive on Sprint as of the 11th of next month, with pre-orders for the handset kicking off as of the first of November. As for the price of the Sprint version, well even though the Sprint LG Optimus G comes with a bigger camera at 13 megapixels as opposed to the AT&T version with its 8 megapixel snapper, the Optimus G for Sprint will still cost you $199.99 again when signing up for the usual two-year term. The lG Optimus G does deliver a fair bit of back for those 200-bucks, including a Qualcomm S4 quad core processor, a 4.7-inch True HD IPS 720p touch screen along with 2GB RAM, 32GB internal storage, NFC, that 13 megapixel snapper and running Android Ice Cream Sandwich, although the Optimus G is expected to be updated with Android 4.2 Jelly Bean sometime in December. So there you go, if your preferred carrier in the US happens to be Sprint you should be able to own the LG Optimus G as of the 11th of November. But we’d love to know whether you will be purchasing the device from either AT&T or Sprint so feel free to let us know in the usual manner below.